The mold industry is still evolving and there is new information being discovered everyday. 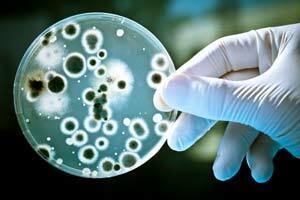 Our responsibility as Certified Mold professionals is to stay up-to-date on this new information so that we can provide our clients with the most effective methods to solve their problems, all while educating them in the process. Black mold is toxic and bad - It is important to remember that the only way to know for sure the type of mold is to perform mold testing. Mold colonizes in a variety of colors including: black, brown, white, green and yellow. Just because mold is a certain color does not necessarily mean it is allergenic or unhealthy. Toxic Mold - The term "toxic mold" is not accurate. While certain molds are toxigenic, meaning they can produce toxins (specifically mycotoxins), the molds themselves are not toxic, or poisonous. (CDC) Molds can, however, be allergenic and cause allergic reactions in certain individuals.